End Impunity! from Spartacus on Vimeo. I don’t think anyone has ever made a greater impression on me than Marian Price. Indeed, there are probably no two women or men to match their heroism. And, yet, it was not Marian’s heroic stature that so deeply moved me. It was, rather, her gentleness, soft-spokeness and loveliness… That despite all the outrageous, vengeful, cruel and vicious treatment by the British-Northern Ireland Government, she remains a dignified, gracious and beautiful human being. 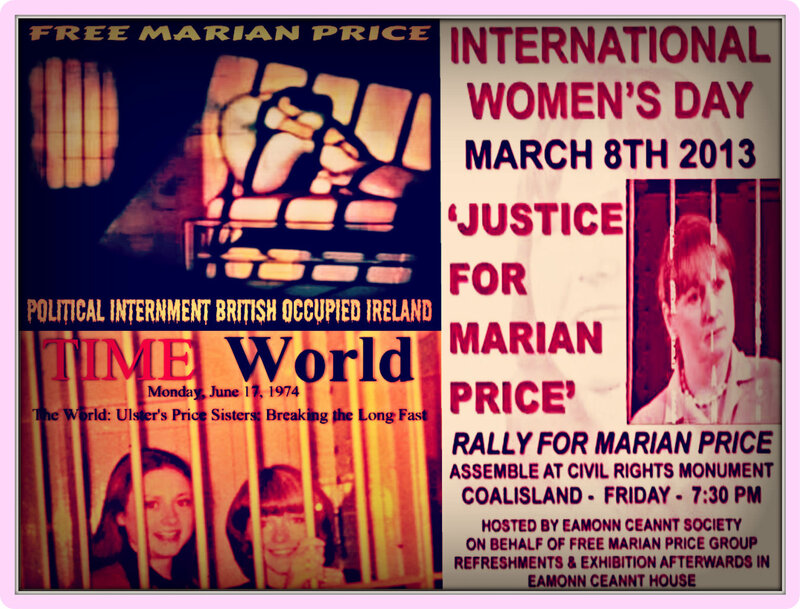 I visited Marian in her prison-hospital in Belfast on Friday, February22, 2013. Along with her attorney and husband, I spent ninety minutes with her. I had gone back to Ireland for a family funeral. And the first thing Marian did was to express condolences to me. There she was almost two years in prison, six months gravely ill a prison hospital, just trying to recover from the death of her beloved sister and she the takes time to comfort me ! The British-Northern Ireland Government is criminal in its treatment of Marian. Anyone in a position of power in Ireland – North or South – who has turned their back on Marian is criminally irresponsible. 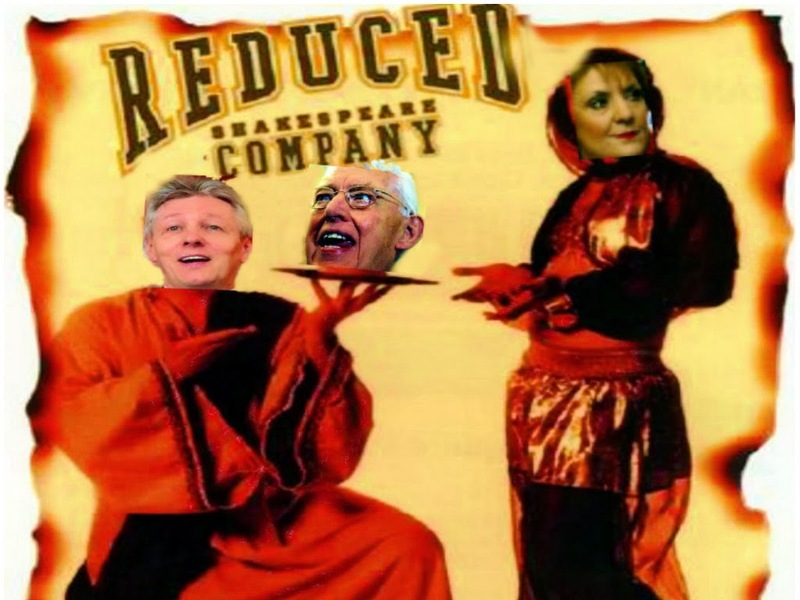 Shame on them, and shame on former colleagues who have deserted her. This is on of the most shameless incidents in the sad history of the Irish struggle. such a vicious way? Is this what we were promised by the peace-process? Is this what the political Parties, North and South, are asking Irish-Americans to support?